All these themes are covered in Shakespeare's masterpiece comedy As You Like It. This classic comedy centers on the strange courtship of Rosalind and Orlando. After a brief chance meeting, Orlando flees the dangers of his brother's jealousy and Rosalind is suddenly banished from the court. With her cousin Celia, Rosalind sets off for the Forest of Arden, where by chance she discovers the object of her affections, Orlando. There's small catch: she has disguised herself in their travels as a boyish young man. With set design by Scott Aronow, lighting by Michael Berelson, costumes by Kate Scuffle, and original music and arrangements by Donna Heffernan and James Wacker, director Marshall Mays has set Kaleidoscope's production in a world inspired by the 1960s, where idealism, sexual ambiguity and experimentation, passion for the Earth, and freedom of self expression enjoy free reign. Sarah Brandenburg (Amiens) graduated with a B.A. in Theatre from St. Olaf College in Minnesota. She worked with the Kaleidoscope Theatre Co. during their first season as the stage manager and sound operator for Little Miracles, An Evening of One-Acts. This is Sarah's theatre acting debut in NYC, and she is thrilled to be performing again! Thanks to Marshall for this opportunity, and to her beautiful family and friends. Todd Allen Durkin* (Touchstone) trained at New World School of the Arts/UF in Miami. Theatrical credits include: Much Ado About Nothing, Midsummer Nights Dream, The Tempest, Hamlet in Hamlet, Riff-Cat Polito in The Virtual Adventures of Riff-Cat Polito, Beggar on Horseback, Salt Water Moon, Agamemnon, and Lenny Bruce in Julian Barry's Lenny, which he was nominated for a Carbonell Award and Named Best Actor in a Comedy by the Miami New Times Magazine. Todd has worked with such companies as Theatrix, Vital Theatre Company, Millennium Stage Company, TheatreworksUSA, Peccadillo Theatre Company as well as Kaleidoscope last summer in The Stairwell. Todd has appeared in numerous comedy clubs throughout the east coast including Caroline's Comedy Club here in NYC. Television and film credits Include: Toothpaste, Reindeer Games, America's Most Wanted, Ghost Stories, Golfballs (nationally released at Blockbuster), and Vote Early, Vote Often, a finalist in the Hollywood Film Festival, which is currently enjoying a very successful run on the International Film Festival Circuit. Eve Holbrook* (Rosalind) Kaleidoscope: Rachel in Reckless. New York Credits include: NYU Directors' Lab, Ontological Theatre (director, Blueprint Series), Miranda Theatre, Small Planet, and Judith Shakespeare Company. 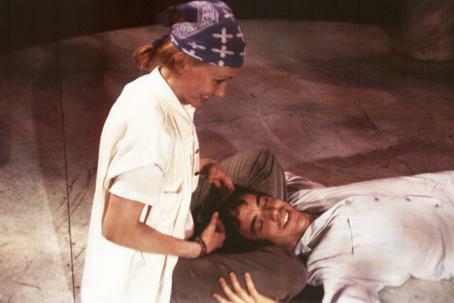 Regionally, Eve appeared as Jessica in Merchant of Venice at The Shakespeare Theatre (Michael Kahn, dir), Helena in A Midsummer Night's Dream at Pittsburgh Public Theatre, The Golden Age at Hartford TheaterWorks (with Elizabeth Franz), Oleanna at The Schoolhouse, Death Of A Salesman at Coconut Grove Theatre (Gerald Freedman, dir), King Lear, Way Of The World (both with Jack O'Brien, dir), All's Well That Ends Well, Mr. A's Amazing Maze Plays, and Wonderful Tennessee at The Old Globe Theatre. Film: If I Only Had A Toupee, Radio Waves, ZOOWORLD. TV: Days Of Our Lives, General Hospital. She is a graduate of Northwestern University and The Old Globe Theatre/USD's MFA Program and the proud daughter of Hal Holbrook & Carol Rossen. 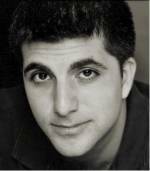 Daniel Kaufman* (Oliver) most recently played Theseus in A Midsummer Night's Dream, and Macduff in Macbeth at the Pulse Ensemble Theatre. He also won an award last year for Best Featured Actor in a Comedy from the NJ Star-Ledger for his work as Joe in The Last Night of Ballyhoo, and Picasso in Picasso at the Lapin Agile at the Forum Theatre. Special thanks and love to the Bomb Lasagna. Daryl Lathon (Duke Frederick/Sir Oliver Martext/Jaques de Boys) is happy to be associated with Kaleidoscope for a second show. He previously played Dr. 1 in Reckless. Other recent work includes Naomi in the Living Room and Other Short Plays, Dead Reckoning with Soho Rep, Faustus with Genesis Rep, and Imitate the Sun with the Wilful Company. Regional credits include Coriolanus, A Midsummer Night's Dream, and King Lear (The Shakespeare Theatre); Death of a Salesman (New Stage Theatre); Master Class (Theatre Virginia). TV credits include Linc's (Showtime), The Chamber, and Legacy. Eric McLendon* (Duke Senior) As You Like It is Eric's third appearance on the stage this year. He was last seen in Every Time I Look Up at the Riverside Theater. Earlier in the year he played Dr. Archer in the revival of The Conjure Man Dies at the New Federal Theater. This past summer, the Chicago native did work in three screenplays: A Simple Truth, The Ride and A Little Bit of Lipstick, which featured Soupy Sales and Mia Tyler. On Television he currently can be seen on One Life to Live playing the roll of Steve Madison. Eric is a graduate of Texas Christian University and spent several years as a Sportscaster before he turned to acting full time. You may remember seeing him on WNBC Channel 4 here in New York. Susan Molloy* (Celia) is thrilled to be working with the Kaleidoscope Theatre Company again. She was last seen in their production of Reckless as Dr. 5 and Vanna. Some favorite roles include Catherine in The Foreigner and Irene Molloy in Hello Dolly!. She would like to thank Carol and her Mother for their guidance and support. 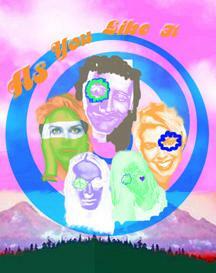 Joe Ponessa (Corin/2nd Lord) is appearing in his first Kaleidoscope Theater Production. In fact, apart from occasional readings over the decade, Joe is appearing in only his second NY production (his first being Selena's Secret with Trinity Theater) since taking a 14-year hiatus from the stage to work on Wall Street. Prior to that, Joe had a brief acting career in Houston, appearing in The Real Inspector Hound, The Ancestor and Working, all with Main Street Theater. Gisele Richardson* (Adam/Phebe) is delighted to be making another appearance with the Kaleidoscope Theatre Company! 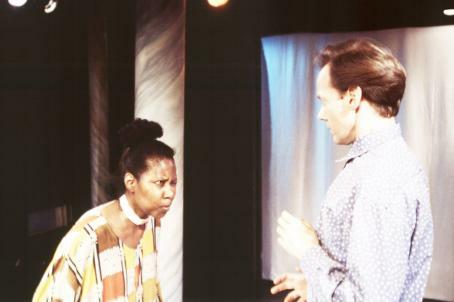 Previously, she appeared as one of the Doctors in Kaleidoscope's production of Craig Lucas's Reckless. 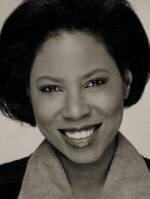 Favorite roles include Nursie in Tennessee Williams' Vieux Carré at the Bank Street Theatre, Titinius (a Roman general) in Shakespeare's Julius Caesar at the American Globe Theatre and the dual personalities of Adele and Jamira in Gary Garrison's When a Diva Dreams at the Miranda Theatre. Hi, Katie! Sarah Saltzberg* (Audrey/First Lord) is pleased to be working with the Kaleidoscope Theatre for a second time, and with such a talented cast. Favorite roles include: Sonya, Uncle Vanya; Eva, The Rimers of Eldritch; Jaquenetta, Love's Labour's Lost. At the beginning of August, Sarah will be playing Helena in A Midsummer's Night's Dream at the Williamsburg Art and Historical Society Theatre in Brooklyn. You can also catch Sarah in the feature film Teacakes or Cannoli, released this April as part of the NY Independent Film and Video Festival and screened at the 2000 Cannes Film Festival. Thanks to M and D, all my peeps and Yang. 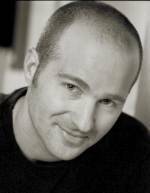 John Sloan* (Orlando) New York: Anne Frank and Me (The American Jewish Theatre), Twelfth Night (LaMaMa ETC. ), Miss Lulu Bett (Mint Theatre Co.), Maybe Baby It's You (Soho Playhouse), Doctor Faustus (The Liminal Stage) and Let's Play Two (Incite Productions at the 29th Street Rep.). Regional: Amy's View (Denver Center Theatre Co.), Holiday Memories (Alabama Shakespeare Festival), The Last Night of Ballyhoo (The Intiman in Seattle) and The Fantasticks (Cain Park). Television: One Life to Live (ABC) Film: The Mountain Kings, Returning Miky Stern, and Divided We Stand. John is a graduate of Skidmore College with a degree in English Literature. For all this and what's to come, thank you to my family. Christopher Stockton (LeBeau/Silvius), a native New Yorker since 1982, has portrayed a variety of roles in a multitude of stage productions as well as Soaps: One Life To Live, All My Children, The Guiding Light and Films: The Money Pit, Wall Street, Big Business and recently finished filming the latest Ron Howard film, A Beautiful Mind. 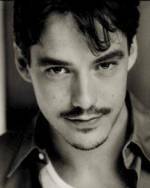 He holds a BFA in Acting/Directing from Ithaca College. Christopher would like to thank Zina Jasper for her experience, strength and support, and is very glad to be "trodding" the boards once again! Jim Wisniewski* (Jaques) Regional: Prosecuting Attorney "Mr. Gilmer" in To Kill a Mocking Bird at the Boarshead Theatre, Puck in A Midsummer Night's Dream and Claudio in Much Ado About Nothing at The American Stage Theatre, Edmund in Long Day's Journey Into Night at Tampa Players, Stephen in Line at Chicago's Circle theatre among others. 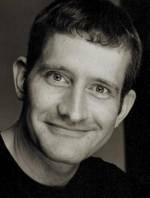 In New York Jim has worked with the American Globe Theatre, The Adobe Theatre, Soho Rep, The Pulse Ensemble and many others. Film and Television: The Late Show with David Letterman and Danny Hochs' Jails, Hospitals and Hip Hop. Jim has also appeared in many of the clubs in New York City as a Stand-up Comic. 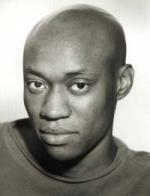 Marshall Mays* (Director/Hymen) is the founder and Artistic Director of the Kaleidoscope Theatre Company. Last November, he directed Kaleidoscope's highly acclaimed production of Craig Lucas' Reckless, and in the previous season, he directed Laura Henry's The Game, Christopher Renstrom's Unearthed, and the premieres of Liz Bartucci's The Calling and Keith Merritt's The Stairwell. 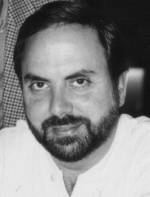 He has directed five critically acclaimed productions at the Theatre Outlet in Allentown: Reckless, Clifford Odets' Waiting for Lefty, Steve Martin's Picasso at the Lapin Agile, Terrance McNally's Frankie and Johnny in the Clair de Lune, and the world premiere of Renstrom's Zion. He has also directed new plays for PA Stage Company's New Evolving Works program and The Blueprint Company at New York City's First Annual Fringe Festival. 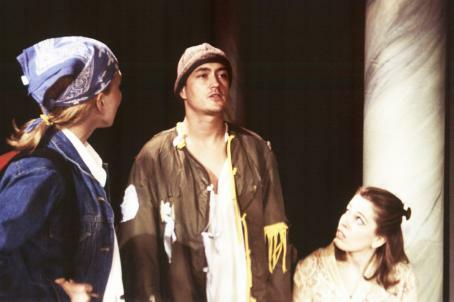 Marshall is also the author of Dance in the Giddy Circle, which was the hit of the First Annual Festival of New York Plays at Synchronicity Space and was subsequently produced at the Trilogy Theatre in 1996. 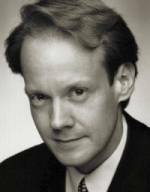 As an actor, Marshall has appeared in over 50 productions including work at the Gene Frankel Theatre, the Mint Space, the Abingdon Theatre, the Pennsylvania Stage Company, the Houston Shakespeare Festival, Stages Repertory Theatre and Main Street Theatre in Houston. He earned his MFA in Acting from Penn State University and is thrilled to be working with this outstanding cast and crew, and these talented designers. William Cusick (Assistant Director/William/Forester) is a film student at St. John's University and has written, produced, and directed several one-act plays, two award-winning short films, and adapted and directed A Midsummer Night's Dream this past spring at his college. A founding member of The Blue Party, he directed their experimental cineplay G.O.D., and will be directing another piece with them in 2002. William is currently at work on his next short film, CUSICK, which is not about himself. He was the assistant director for Kaleidoscope's production of Reckless. Scott Aronow (Scenic Designer) is tremendously pleased to be working with Kaleidoscope, having previously designed in New York: Richard II at the Eleventh Hour Theatre Company, On The Hills of Black America at Imua! 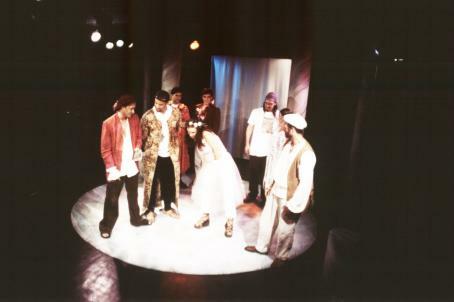 Theatre Company, The Curious Savage at the Brooklyn Friends School, Betsy Blue, or I Was A Nine-Year Old Blues Diva, at the Looking Glass Theatre and The Boyfriend at the Dicapo Opera Theatre, as well as other scenic projects around New York in various operatic and theatrical venues. Scott has assisted and painted scenery for major designers at The Williamstown Theater Festival, New Jersey Shakespeare Festival, Hartford Theaterworks, and worked with designers John Lee Beatty and Heidi Ettinger (on the Broadway production of Tom Sawyer). Outside New York, he has designed Travels With My Aunt at the New Jersey Shakespeare Festival and Mad Forest at the Boston University Theater, where Scott received his BFA in Design last May. Currently, he is also designing Crazy For You at the Scarsdale Summer Music Theater, and numerous musicals for the Lakes Region Theater in New Hampshire. 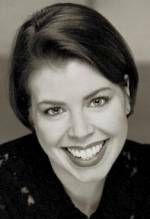 Kate Scuffle (Costume Design) is the Executive Director of The Theatre Outlet in Allentown, PA, as well as an actress and costumer. �Favorite shows that Kate has costumed include productions of The Cripple Of Inishmaan, As Bees In Honey Drown, Ghetto, R.U.R. (Rossum's Universal Robots), Machinal, Bury The Dead, The Beauty Queen Of Leenane, Dancing At Lughnasa, Picasso At The Lapin Agile, Theatre Outlet's �American Premiere of At The Black Pig's Dyke and the Outlet's Premieres of Christopher Renstrom's Zion and Honour Kane's Crackskull Row, which traveled to Ireland this past fall. She has costumed several of Marshall Mays' productions for The Theatre Outlet, and is delighted to be working with him at Kaleidoscope. �Kate will be spending part of the summer with the Artist-In-Residency Program at Harpers Ferry National Historic Park, working on a new performance piece inspired by John Brown's Raid at Harpers Ferry. Michael K Berelson (Lighting Designer) �Off Off Broadway: Rubberville for Ovo Productions, Naked Angels PS/NBC Space@HERE, Andy Ohio Meets The World Queer@HERE. Off Broadway: Theater Works Reading Rainbow( Asst. to Mark O'Connor) Regional: Ah Wilderness Purchase Theater Ensemble TEA at the Pittsburgh Public Theater (Asst. to Pat Collins) Dance: Moscow Ballet US National Tour, Dance Cavise, Tere O'Connor Life is a missing Girl (Asst. 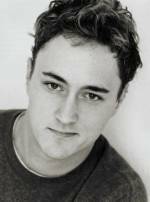 to Brian Macdevitt) Michael is a Graduate of Purchase College with a BFA in Design and Technology. Kate Gyllenhaal (Choreographer) is the founder and artistic director of MoCo, a modern dance company now in its fourth season. MoCo just finished its spring season with a series of performances at University Settlement, Dixon Place and the 92nd Street Y Harkness Dance Program. �Kate has been performing and choreographing for dance and theater for the past seventeen years including work for directors David Esbjornson, Gia Forakis, Robin Saex and David Kronick. 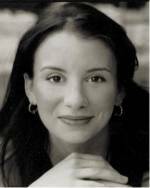 �As a performer, Kate has worked extensively with numerous downtown choreographers and has been a principal dancer for Sally Silvers and Dancers for fifteen years. Jim Wacker (Composer) is a world-traveled musician/entertainer, who has toured for many years with Chubby Checker and the Wildcats [as musical director], and Gary US Bonds' band. He has played at one time or another with an impressive list of internationally-known groups, including the Cadillacs, the Drifters, the Shangri-Las, Bill's Band, the Tokens, Bobby Rydel, Tommy Roe, the Platters, Mitch Rider, Freddie Canon, Frankie Ford, Deedee Sharp, Spencer Davis, and many equally and less famous others. He runs a Manhattan recording studio and has credits on many albums playing keyboard, vocals, guitar, sax and harmonica, a solo rock album titled Yours, and two jazz trio albums Songs �for Our Fathers--Live from Washington Square and The Ugly Americans Live at Arnstaad. �As well as playing solo piano, �Jim Wacker and the Extention Chords performs locally around the NYC area.